Avye Alexandres was born in Athens, Greece, and moved to the United States at the age of six. Her multi-disciplinary art practice stems from a background in Photography and Theatre. 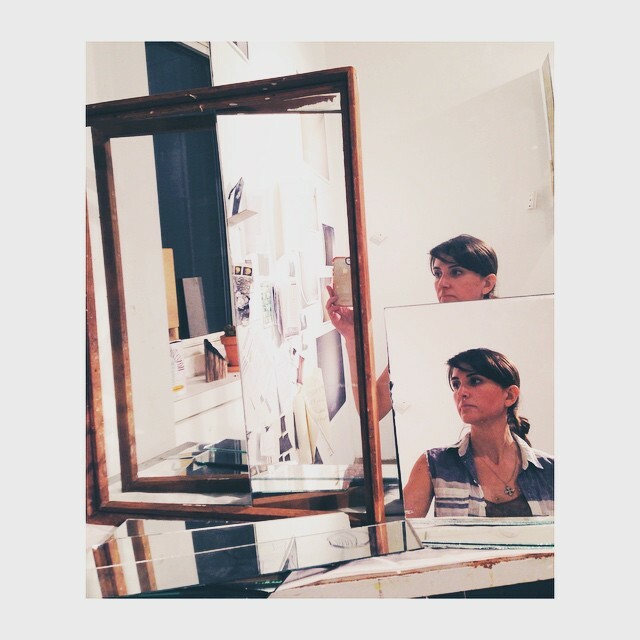 Evolving from site-based performances her work now encompasses immersive sculpture, locative media, experimental digital narratives, conceptual works, photography and video, as well as participatory experiences and installations. In 2015 she received her MFA in Art and Emerging Practices from the University at Buffalo, during which time she received a Juror’s Selection award at Big Orbit Gallery, a Morris Arts Scholarship and Fellowship, and a Project Grant from the Techné Institute. She was the 2016 recipient of the Oseroff Memorial Purchase Award from the Roswell Park Cancer Institute and CEPA Gallery. Previously she lived in Minneapolis, MN where she received an Art(ist) on the Verge grant from Northern Lights and the Jerome Foundation, which commissions artists working at the intersection of Art and Technology. She has exhibited at the Burchfield Penney Art Center, CEPA Gallery, Big Orbit Project Space, the University at Buffalo art galleries, The Soap Factory, IFP-MN Center for Media Arts, Concordia Gallery at Concordia University, Minnesota Center for Photography, and the Weismann Art Museum.